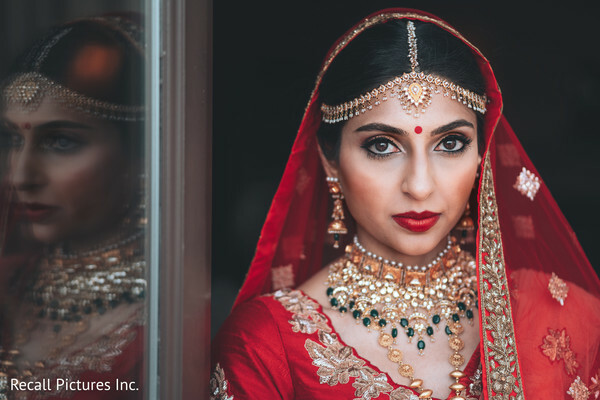 What I love the most about being an Editor for Maharani Weddings is the simple ability to fly around the world from the comfort of my own home. 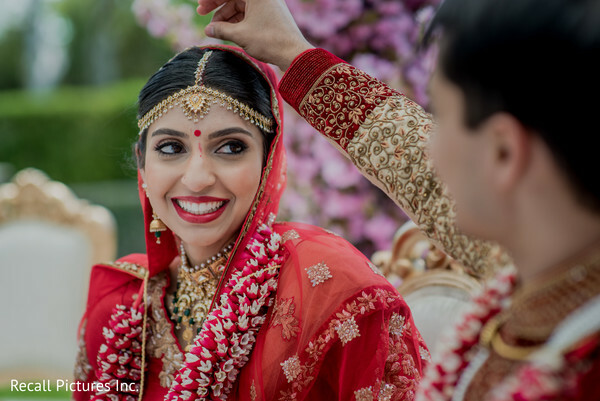 Revisiting the special moment of an Indian bride's fairytale wedding is so magical that sometimes you just cannot put the feelings into words. I have always loved New York and now I have another reason to fall in love with Long Island. 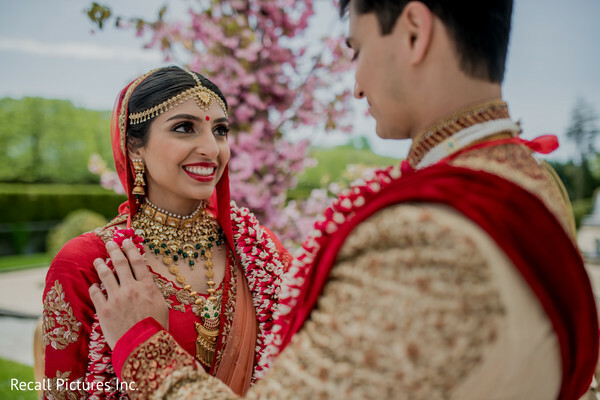 If you missed Shaili and Sagar's pre-wedding ceremonies decorated by Florista Décor (you can click here for all the deets!) 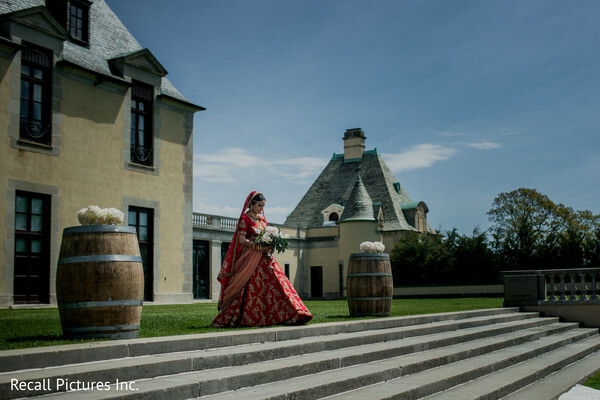 and now I return with the incredible Indian wedding ceremony at the Oheka Castle Historic Hotel in Long Island. 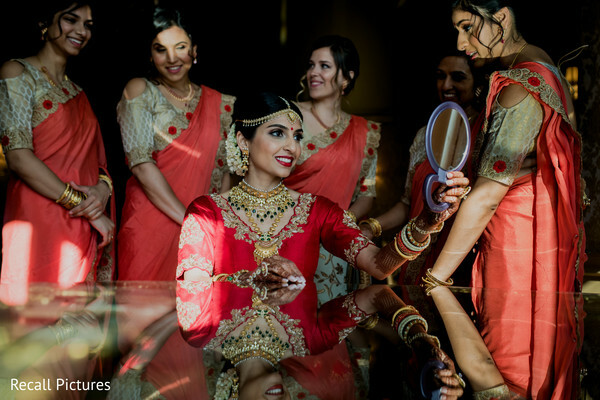 The talents of Makeup by Anita were in full force that morning as the bride emerged from her beauty chambers looking like a magazine cover. 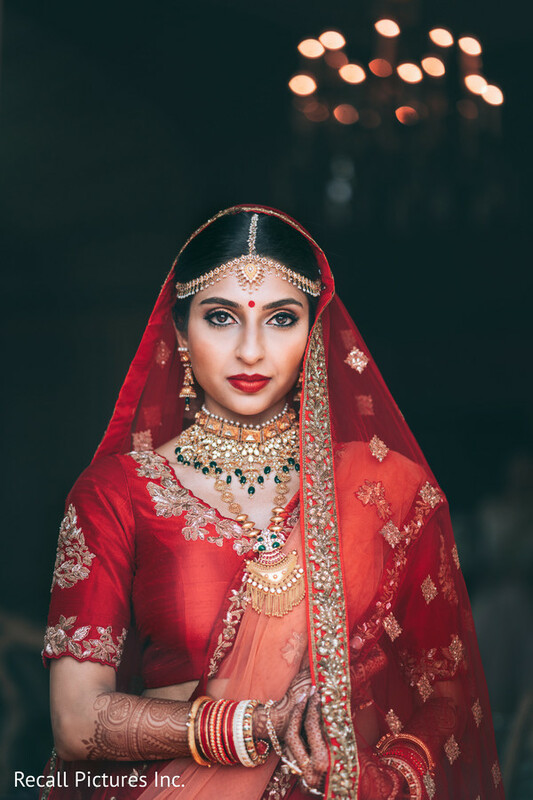 Shaili was a contemporary Indian bride that wasn’t afraid of being alluring while maintaining a sense of elegance. 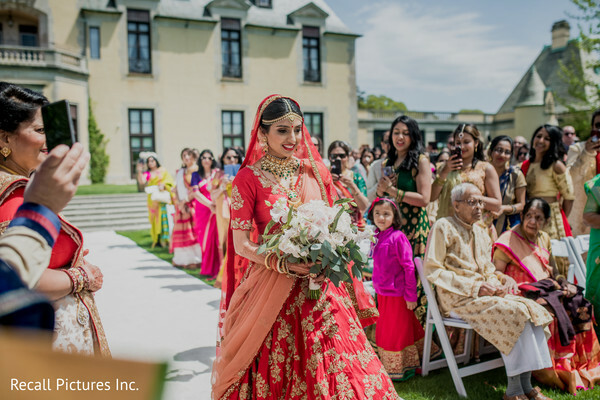 The Indian wedding ceremony took place outdoors of the castle (simply fitting for this Maharani!) 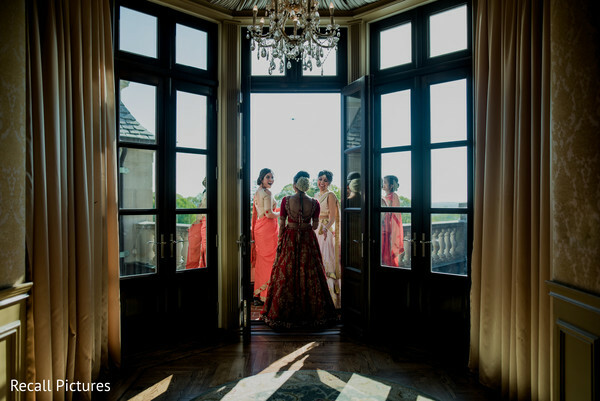 and Elegant Affairs Inc. upped the romance factor with dreamy décor. 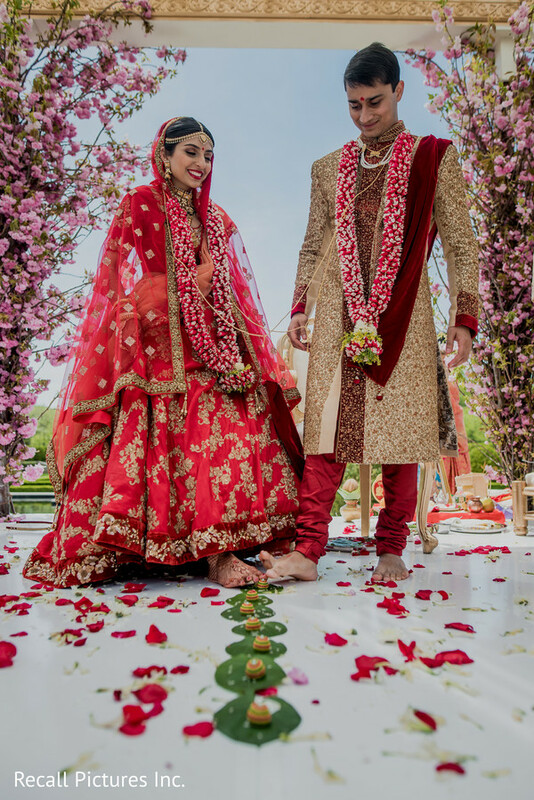 Some venues are inherently sentimental and the lush botanical gardens with a beautiful floral mandap was an element of this Indian wedding that was perfect in every way. 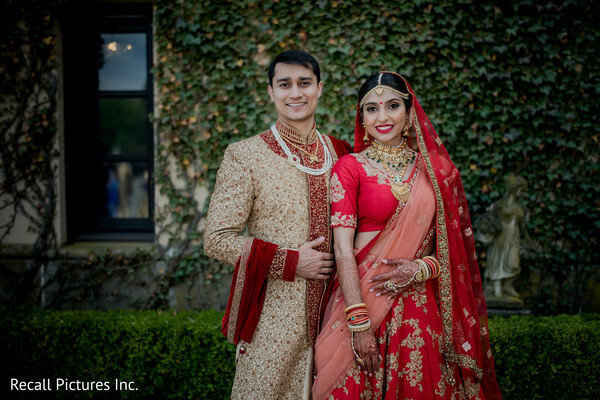 Urvashi Mishra of Electric Karma International - East Coast ensured that she took care of all the details so the bride and groom could focus on the most important theme of the night - each other. 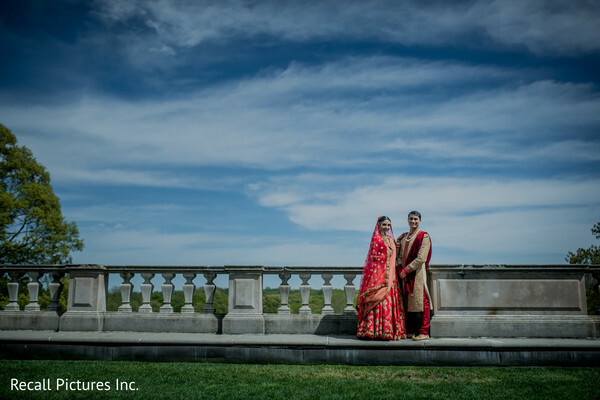 Join me in the romantic getaway of endless romance in our gallery by Recall Pictures. I am not quite done! 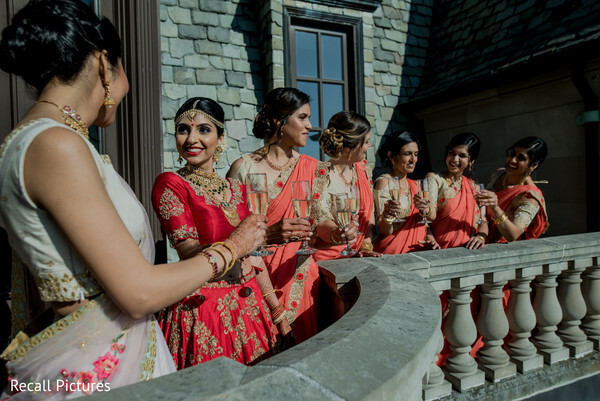 Such a feature deserves another editorial for the wedding reception! This is stunning. 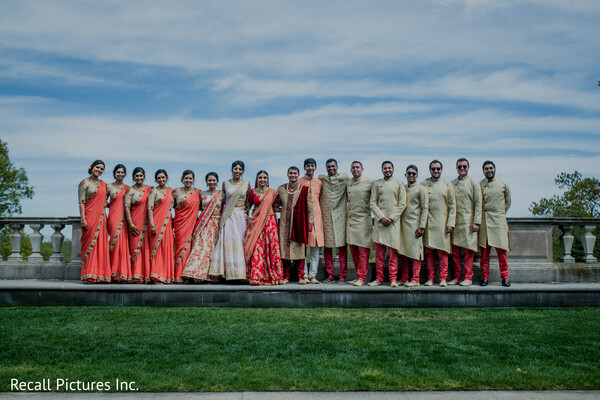 I've been a wedding photographer shooting weddings in NYC, Florida and Puerto Rico and have yet to have the opportunity to photography an Indian Weddings. This is my goal and dream. 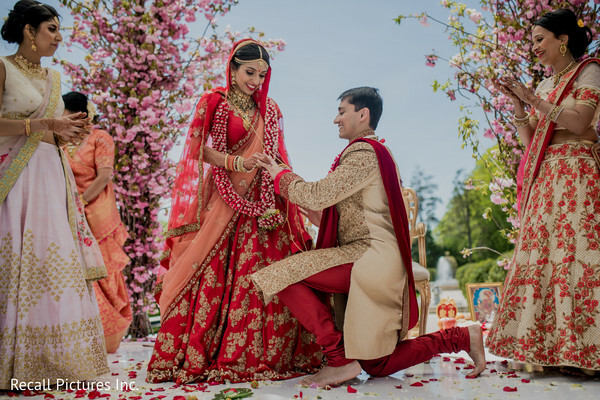 This images are stunning to say the least!